We’ve spoken about this project in a ton of detail in a blog post that we posted earlier this week, you can read that by clicking here. The new website has only been live a number of weeks, but Sanderson Young have already reported a large increase in the number of viewings and inquiries from the website. 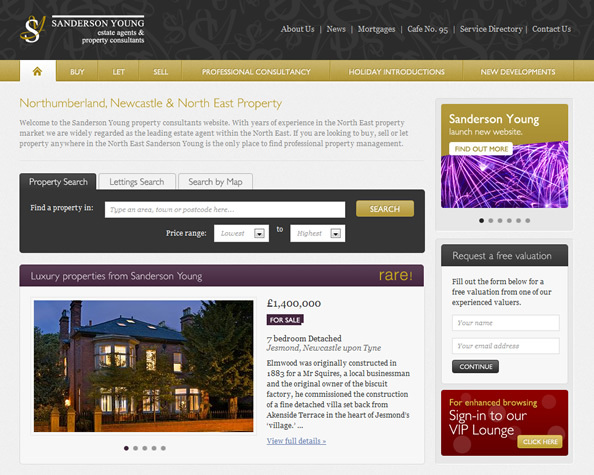 We will be working closely with the Sanderson Young team to continue improving the companies web presence and helping to improve customer experience as much as possible. Visit the website by clicking here. We were really excited to launch our first iPhone app in September, and working with Match of the Day’s Mark Lawrenson was an added bonus! Create a Commentary is a unique opportunity for football fans of all ages to create their own personalised commentary featuring Mark Lawrenson. Read more about this completely unique app in our Create a Commentary blog post. 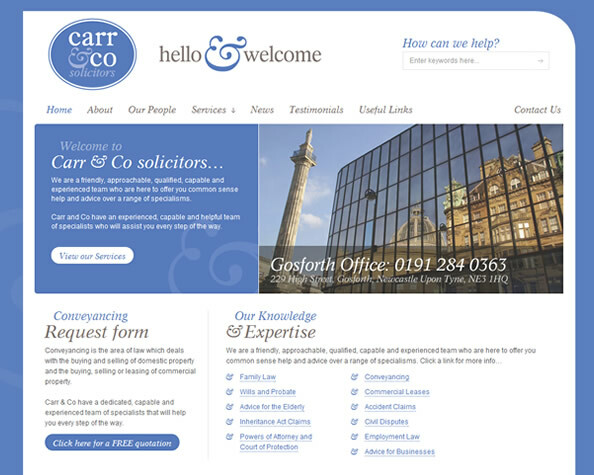 We have been working with the team at Carr & Co for a number of months now, launching their new website in September. We will also be working on some search engine optimisation for the new website, so keep an eye on the blog for more news on this. Visit the website by clicking here. 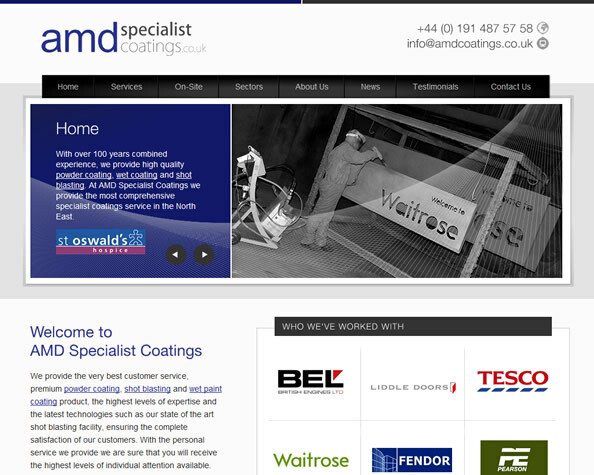 AMD are based in Gateshead, and provide the very best premium powder coating, shot blasting and wet paint coating. We launched the website in early October, working closely with the AMD team on all aspects of the design and content. Visit the website by clicking here. 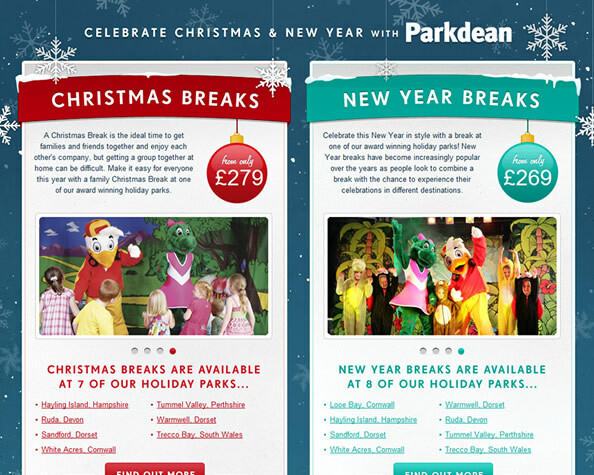 We have recently completed some festive work for Parkdean Holidays (around 9 weeks to go!) to advertise some of their great Christmas, Twixmas and New Year breaks. Take a look at our bespoke landing page by clicking here. Emily’s Brownies are made by a small, family run business in the North East of England and offer some of the most delicious treats you’ll ever have the pleasure of eating. 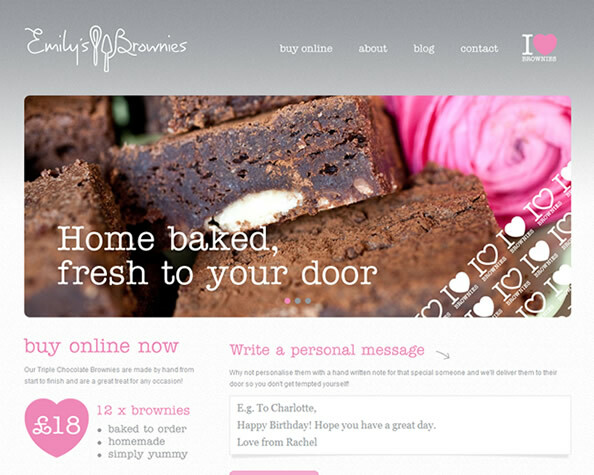 Take a look at the official website of Emily’s Brownies. The Startown website is one of the most exciting projects we have worked on this year. The website is aimed at 4 to 10 year olds, and really enjoyed creating an environment that they can have fun and learn in. We cant show any visuals quite yet, but keep an eye on the blog for more news on this nearer to Christmas. Continuing our long relationship with Parkdean, we have recently began work on redesigning their holiday homes website. The website will contain a lot more functionality for the user, as well as a complete design overhaul. We will be posting more about this as we progress through the work. We have working on some updates to the VLS customer area, particularly for CE Electric account holders. This new work concentrates on increasing fuel spend efficiency, helping the CE team look at individual transactions and vehicle performance across the fleet. Studacity will be helping Newcastle upon Tyne’s student population find the very best deals, event and venues. With a focus on quality, Studacity will be offering insight into the best the city has to offer, allowing exclusive access to the best promotions around. Sign up to the mailing list at the official Studacity website. We’re into the development stage of the new Newcastle Drum website, and we cant wait for the centre’s customers to use it. The new website will be a complete shift for the company, concentrating on its core business areas such as beginner drum kits and cymbals. Gainford Care Homes was established in 1995, and currently runs thirteen care homes in the North of England. We will be helping Gainford redesign their current website, as well as designing their brand new Bright Stars nursery. Look for the new Gainford website to go live sometime in November. Derwent Lift Services have been established for over 30 years, delivering exceptional service across all areas of the lift industry. We have been commissioned by the company to develop a new website promoting the business and its wide service portfolio, raising its profile and improving their engagement with both clients and prospective customers.